Okay, so I’m not the world’s biggest fan of MOBAs, eSports, competitive online games, or, hell, any multiplayer that doesn’t involve the copious consumption of beer and the ability to slap a controller out of another player’s hands. 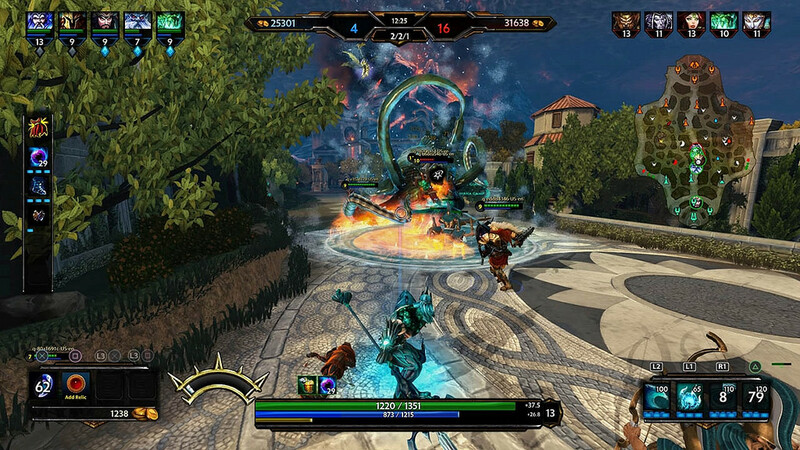 Related reading: You can catch Nick's review of the Xbox One version of Smite here. 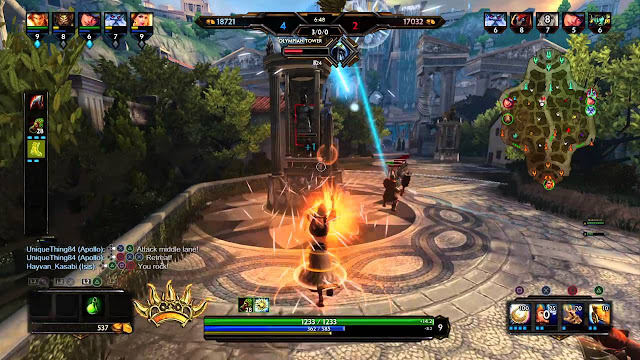 With that in mind, I approached an opportunity to play around with Smite on the PlayStation 4 with some trepidation. It’s a game that is playing hard for a piece of the League Of Legends ultra-competitive scene, but at the same time it is a free-to-play PlayStation game, and I like to try different things anyway when the opportunity arises. I was also intrigued by the shift from a top down perspective on the action that you get in League of Legends to the more action-orientated and personable behind-the-back view that Smite was peddling. And I really, really liked the idea that the game’s characters were all based on gods from real-world ancient pantheons. That suggested to me that the game would have heritage and history backing it, and I do love history and heritage in games. So I started playing around with Smite, and you know what? I kinda like it. A little like how I enjoyed the Lord of the Rings MOBA from a few years back, the theme and style of this game is helping me get over the resistance that I’m feeling that firstly, I’m terrible at this game, and secondly, that the fun I can draw from it relies too heavily on the people I’m playing with. 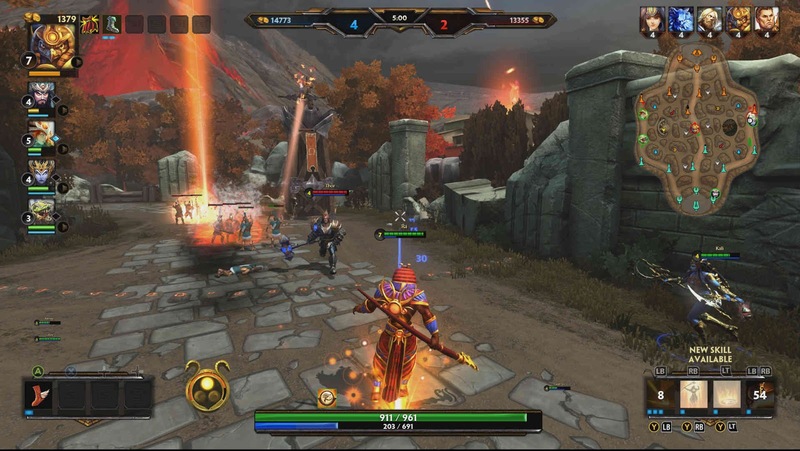 Smite does indeed play like every other MOBA you might have played, shift in perspective aside. You’ll still be trying to work together with auto-spawning minions to defeat enemy towers and generals. Slowly, the goal is to creep to the other end of the field and take out the enemy’s titan. In each battle your hero starts out at level one and with no equipment, but by defeating enemies and grinding away by the end of the 30-odd minute conflict they’ll be of a far higher level and have lots and lots of wicked gear. 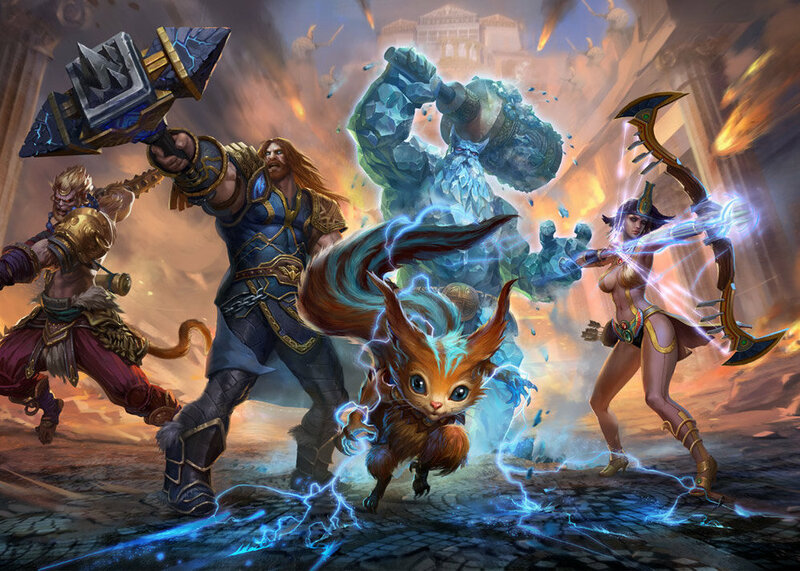 In a way each match of Smite behaves like a microcosm RPG, and it’s appealing stuff, because the characters do indeed suit that kind of gameplay loop. As mentioned, the characters that you’ll be in control of come from the various old god pantheons. Currently there are Greek, Roman, Norse, Hindu, Egyptian, Mayan, Chinese and Japanese gods (and I just know I’ll have forgotten at least one pantheon in that list), and each and every one of them has their own style, skill-set and powers. People who like ranged combat can pick archers or magic users, or there’s tanks, high-damage dealing assassins, and the occasional support character thrown in. I quickly found myself most comfortable with the archers, and Chang'e, a support character with a pet rabbit whose specialty is in healing nearby allied troops and disrupting enemy attack plans. Almost always my characters need allies to really be effective. I always end up playing these kinds of characters. There’s a range of battle options, but the classical mode of 5-vs-5 heroes is my preference, and that’s because it allows for a mix of individual skill and group strategy. As this is a highly competitive game, I recommend spending a fair bit of time in the vs. AI modes in order to really come to understand a character before venturing into the Player-vs-Player combat. The community isn’t especially welcoming to newcomers, and that is in part because when battles are just 5-vs-5, there’s not really any room for a weak link. Because the community is so competitive, of course there is almost unlimited replay value in this game if you find yourself hooked on it. The game’s monetisation comes from selling permanent access to characters (that otherwise you can only access on a rotating basis), and also alternative costumes for your favourite. It’s quite reasonable on what it asks players to spend their money on, but as with all free-to-play games, the costs can really get away from you if you’re not careful. My recommendation would be to simply find a handful of characters that you like, and stick with them. You’re unlikely to be able to master more than a handful for competitive play anyway. What really helps Smite along is that shift in perspective to the behind-the-back view, though. Having a more “in person” view on the battlefield is more visceral. Watching enemies close in the distance does more to build anticipation that watching them from top down. Not being able to see around corners opens up the opportunity for some sneaky flanking play less easy to achieve when the opponent is omnipresent and has a 360 view around their character. Attacks and combat fireworks simply look more impressive when you’re in the thick of the action. Related reading: Matt's review of Guardians of Middle Earth, the Lord of the Rings-themed MOBA. It's good. My main criticism of Smite is one that applies to just about every other eSports-orientated competitive game out there; there’s just too little context to it all. Digging deeply into the menus for the gods provides brief descriptions of who they are, but otherwise there’s nothing, and so, after a while, the game feels mechanical. It’s well-balanced, designed, and visually gorgeous, but it’s also clearly mechanics and data churning and very little by way of narrative and characterisation to truly humanise the experience. For an example, my wife saw me playing it, and asked me about it. After explaining the game and the gods, she asked me if it had a story mode or if I’m just fighting. After confirming for her it was the latter she greatly lost interest in the game. With the controller in the hand it matters far less, of course, but with those production values and the effort that has gone into the character design, it’s a genuine waste that the development team didn’t include some kind of single player campaign. It could have acted as a tutorial, or even sold as a standalone game to expand on the Smite universe, but if there’s one MOBA that I’ve come away from with the deep impression that it could be much more than “just” a MOBA, it’s this one.